Good morning! Hope you all had a great Saturday night! 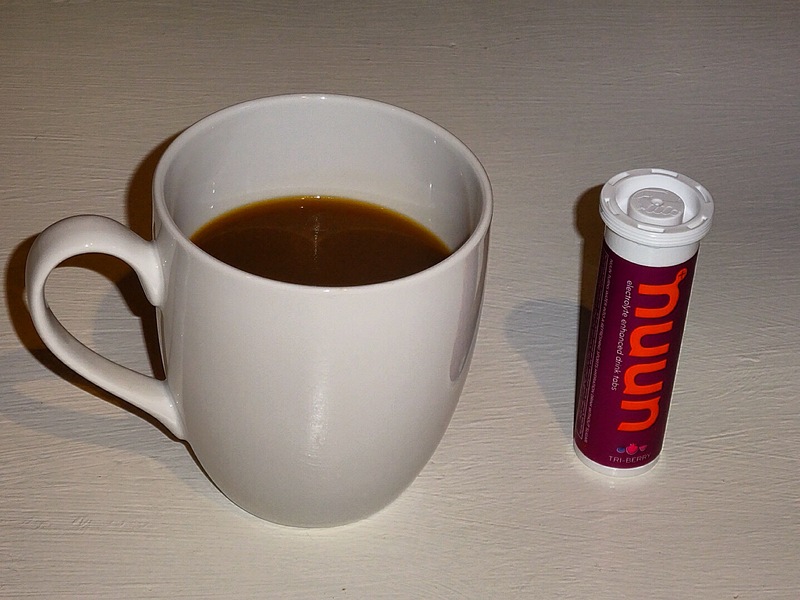 This morning is full of coffee and nuun– I like the tri-berry flavor the best! Nuun are electrolyte tabs without sugar or carbs. They add light flavor to water, and I drink them on a regular basis. I like how the nuun tables are portable- great to take on trips! On the schedule for today: time-based easy run (60 minutes today). I’ll switch the settings on my Garmin to only display time, and won’t worry about the distance covered. This will be followed by lots of stretching, getting organized for the week, and then celebrating a friend’s birthday. I ran an easy 10 miler and with NUUN & coffee as well. ;) I like cherry limeade the best. Happy Sunday! I cleaned my garage . Sounds like a productive Sunday! I’m spending my Sunday getting organized for the week too! Doing some meal prep and working on my planner for the week. I’ve never been a runner. At age 48 I got off the couch and started exercising. I went from overweight couch potato to overweight triathlete in five weeks. I did a dozen triathlons over the next two years, usually finishing in the bottom five but finishing with a smile on my face. After the death of our son two years ago, I only did two tris. I didn’t exercise much that first year. This year I have ridden my bike a bunch. I’m not fast and I go 25-35 miles per ride. I enjoy riding. I have recently started walk/jogging again. I want to to work up to doing a half marathon next fall. I’ve never done one. Today I completed a 5K. I walked most of the way and was slow. But I did it. Then I walked sixteen flights of stairs to my room. Twice. I’m enjoying reading about your running. I’m hoping to learn things that will help me accomplish my goal. TOday, I rested! Did the fun mom and wife stuff like grocery shopping! (Don’t be jealous) LOL! TOmorrow, I start my marathon training …… will be my first ever FULL marathon! Nervously excited! I haven’t tried the Nunn, may need to check them out! Congratulations on your half and PR! What race was it and what marathon are you training for? You must be so thrilled! Also a fan of Nuun and agree with the Tri-Berry being the best flavour. It gets me around when it gets too hot to run without water. I take effervescent vitamins in the same way you take Nuun, I’d be really interested in seeing what the difference is! I basically always get sick though so the vitamin tablets are a must! Pippa, what brand of effervescent vitamins do you use? Yes, you should try nuun some time and let me know what you think. Good luck! 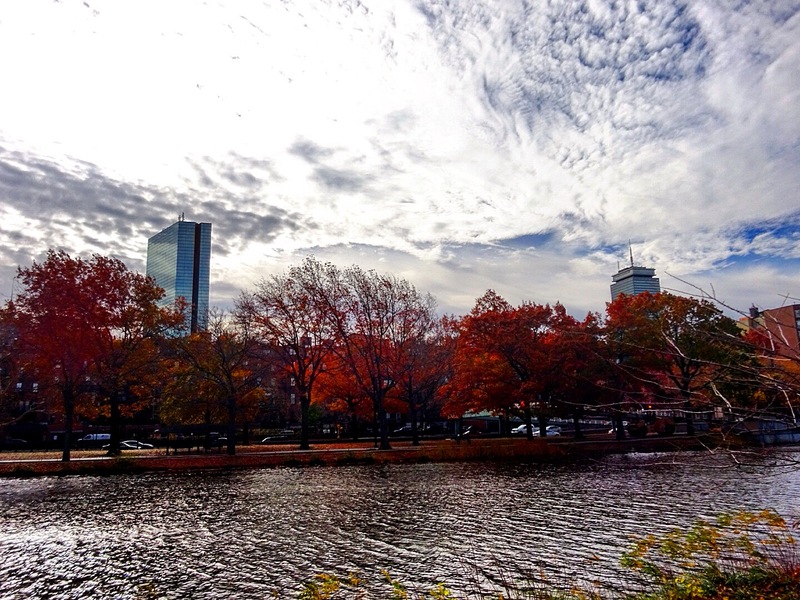 Previous Previous post: Windy Saturday in Boston! Next Next post: Patriots win and welcome to a new week!